Original here. It was made in response an attempt at running an intentionally bad portrait of McCain byAtlantic Monthly (and the distasteful photo altering by the photographer of some of the images she took of McCain). Frankly, I think the cover photo (chosen to highlight McCain's age) makes McCain look like a BMF. "I don't know Greenberg (I count this as a blessing) and I can add nothing to what James Bennet told the Post except to say that Greenberg is quite obviously an indecent person who should not be working in magazine journalism. Every so often, journalists become deranged at the sight of certain candidates, and lose their bearings. Why, this has even happened in the case of John McCain once or twice. What I find truly astonishing is the blithe way in which she has tried to hurt this magazine." Can these folks really be this stupid? Clinton and Obama got two delegates each in last weekend's Democratic caucus. The caucus format tends to favor Obama, but the particulars of this one are different. Voters could basically come in, vote and go. Between that and the momentum Clinton had going into the vote, the final vote ended up being very close. When all of the ballots were finally counted -- a process that lasted through Saturday night until well into the next day -- Sen. Barack Obama had the most votes from Guam Democrats in the party's caucus. Obama finished with 2,264 votes to Sen. Hillary Clinton's 2,257 votes -- a 7-point difference. Obama won 14 of 21 districts. Obama leads Clinton in the overall race for delegates to the national convention, 1,741 to 1,607, according to unofficial tallies by the Associated Press. It takes 2,025 votes to secure the party nomination. With the race to secure the Democratic presidential nomination so close, Guam's Democratic caucus was given much national attention. The caucus determined which delegates Guam's Democratic Party will send to the National Democratic Convention in August in Colorado, where they will select which will candidate will go against Rep. Sen. John McCain. 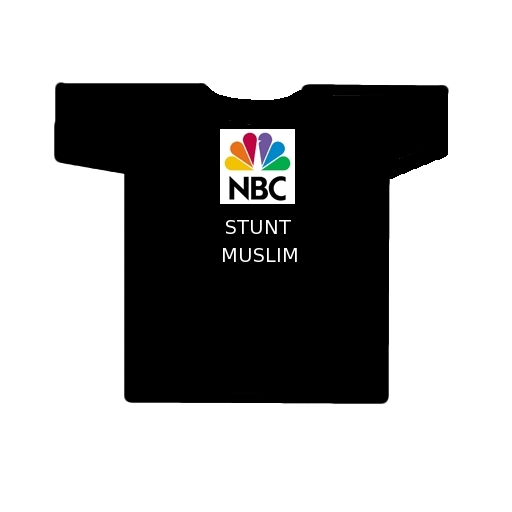 Update 2: More previews of an Obama presidency here and here. The experience was surreal, amusing, and chilling. In a matter of hours, a major national campaign had called on its legions to bully a radio show out of airing an interview with a legitimate scholar asking legitimate political questions. Coupled with the Obama campaign's recent attempts to sic the DOJ on the creators of a truthful political advertisement —which also happened to feature Obama's relationship with an unrepentant terrorist— last night's call to action represents an emerging pattern. Any criticism of Obama's unknown past is to be immediately denounced as a "smear," and the messenger is to be shut down at all costs. 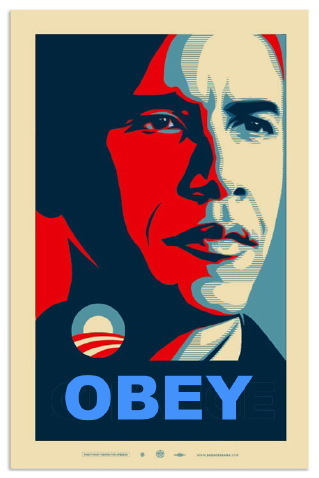 Original post: It is wise to obey Obama. Original poster in the continuation. Context (and hat tip) at Michelle Malkin. 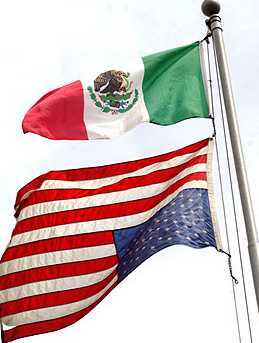 That picture was taken today at an anti-immigration reform protest at a shopping mall high school in California. Screw amnesty. You know something is wrong when you are tracking to the left of the Canadians. UPDATE: A thought: You can fly whatever flag you want to at home or during cultural events like May fifth. That's your right. But this trick and the use of Mexican flags at political protests kind of like Japanese planting their flag on Dokdo. You should expect that it will not go down well with the natives. 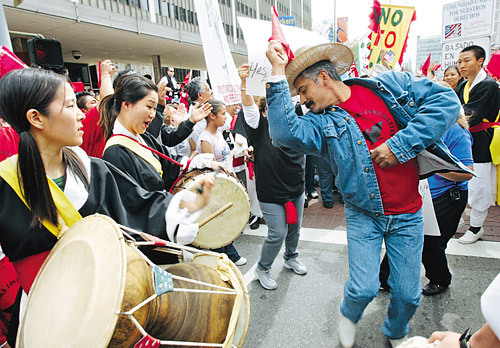 (Chosun Ilbo pic) Some guy dances to Korean drum music during a recent protest in L.A. against a bill that would make illegal immigration, uh, illegal (OK, more illegal than it already is). This gang might include some of the 200,000 Korean criminals currently in the US. If Mexico (and let's face reality, these were basically Mexican rallies) was run by an evil commie dictatorship, I could understand them escaping the motherland by hook or crook, but it is not. These people are not refugees nor are they not facing starvation. They are folks who came to make a buck. There is nothing wrong with that, but need to get in legally. At least the Korean working girls who came to the US to practice their trade, filled out the necessary forms. Of course, they lied and are criminals, too. "The plural of ancedote is not data." I rolled when I read that quote, which goes with this post on social conservatism among American blacks. While we are on the subject, I have long thought that anti-abortion groups have an opportunity to make inroads in the Democratic party through supporting pro-life and otherwise socially moderate candidates in majority black districts. The Daily Kos is in stiff competition with Blame Bush for the title of funniest political parody site on the web. Democrats, there is one consultation to be had on this issue: a consultation with your conscience. Lock yourself alone in a room, take the phone off the hook, and pull out a copy of the Constitution. Hold that fiber of our democracy in your hands. Feel how such a light piece of paper has managed to carry the weight of national chaos, year after year,war after war for over 200 years. Hold it in your hands, and ask yourself: am I prepared to rip this into pieces? Are your trembling hands willing to shred it and let the tattered remains of our democracy fall silently to your feet? Where, out side of a freshman high school essay, can you find passion like that? They are not called Kosmonauts for nothing. It was a morning like any other in the tiny burgh of Chapel Hill, North Carolina. The overpowering stench of wet cigarettes and cow flatulence filled the salty sea air. Small children giggled with delight as they frolicked around the smoldering remains of last night’s cross burning. From the nearby cotton fields, the faint crack of horsewhips could be heard over the drunken whoops of hooded Klansmen. At the town’s makeshift college, slack-jawed students gathered in the campus community area known as “The Pit”, perhaps to arrange dates with their sisters to the evening’s barn dance, or maybe to cram for the big exam in Tobaccy Chewin’ 101.